As a consequence to the expedition of John Powell, we realized that the Grand Canyon is a place to be discovered little by little since it cannot be reduced to a certain zone. 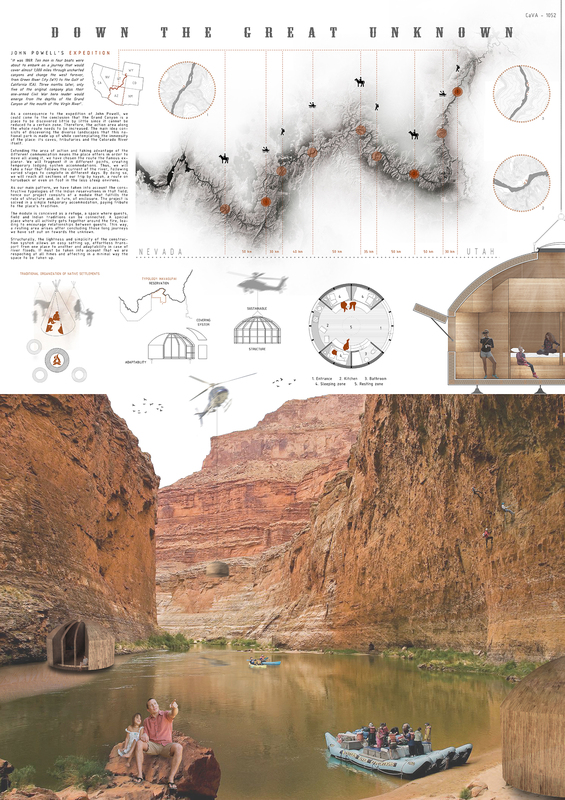 The main idea consists of discovering the diverse landscapes of this national park through a system of spaces, taken into account the constructive typologies of the Indian reservations in that field. Hence our project consists of refuges, a space where guests, field and Indian traditions can be connected. A place where all activity gets together after concluding those long journeys we have set out on towards the unknown.